You are here: Home / giveaways / GIVEAWAY: $50 Randalls gift card! Gas is a major expense in our house every month and we’re always looking for new ways to save on fuel! Randalls offers gas reward points every day, but right now they have a HOT promotion where you can earn 4X the gas reward points when you purchase gift cards! 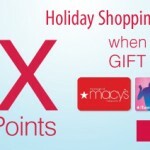 Right now, you will earn 4 points for every $1 spent on gift cards! You will get $.10 off per gallon on a single fill-up for every 100 points you earn! Randalls provided me with a $50 store gift card so I could check out this promotion. My kids were with me, so I let them pick out their favorites. 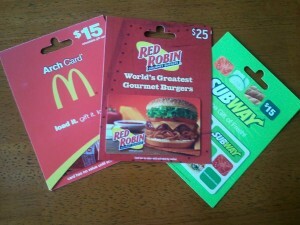 They chose a $25 Red Robin gift card, a $15 Subway gift card, and a $15 McDonald’s gift card. I earned 220 points for purchasing these gift cards, which equals to $.20 off per gallon of gas! Randalls has a large variety of gift cards to choose from including Amazon, iTunes, Best Buy, Home Depot, Chili’s, Olive Garden, Starbucks, Target, and more! If you’re going to be visiting these places anyway and spending money, you might as well save some money on gas, too! DISCLOSURE: Randalls is part of the Safeway family of stores. Although Randalls provided me with a $50 gift card, they did not influence my comments on this post in any way. 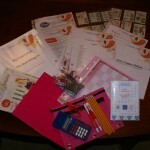 GIVEAWAY: 3 fully loaded coupon binders! I would buy cereals with my gift card. I’d buy gift cards for places I normally shop at. . . Home Depot is the first to come to mind! Places to eat out, not sure which ones but it would be nice to get to go out and not have to worry about the money! Subway and other places I love to go to!!! I would get restaurant gift cards. I would love to get the restaurant gift cards. I’d get a Disney giftcard to help out our trip to Disneyland. I would choose Target to use it towards Christmas shopping. I would choose an Applebee gift card if available so I could take my niece out for a long overdue lunch. I’d buy a $20 McDonald’s Gift Card and a $30 Target Gift Card. I’m with you….I’d probably pick up a Subway card or two. They are a great place to stop for a quick nutritious sandwich when running errands. I’ll get an Amazon GC because I’m saving for an Amazon Fire. I would buy a Starbucks GC and a See’s Candies GC (my Safeway carries See’s Candies GC’s). A Best Buy card would be a great gift for my fiance! I would buy the $50 Safeway gift card. Always need help w/groceries…Thanks! I really need these gift cards right now, wish me luck! Amazon and Home Depot! Thanks for the chance to win! I would get an Amazon card for Christmas gifts. I would buy groceries for sure! Safeway for me and Subway for my husband; thanks ! I’d get Amazon and iTunes cards. 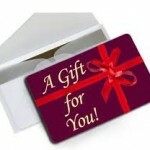 Gift cards make great gifts, especially for the teens in our family. Mcd’s or Subway would probably be the best bets! I’d love to have some Subway gift cards! Starbucks and Subway gift cards for sure. Amazon, Home Depot or Target! 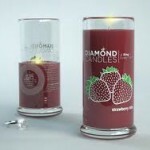 Home Depot and Subway- great stocking stuffers! Thank you! I think I would get an Amazon gc to help pay for Christmas gifts! Thanks! I would buy Amazon and Subway giftcards! Gas is always an issue with us…so I would like a gas card or purchase gas with a card. I would get Amazon, Target, Starbucks and or Subway. I would buy cards from Amazon. I would buy an Olive Garden gift card! Save on gas and a great date night! I would buy the following gift cards: Chili’s, Amazon, and Target. I’d buy a target card. I’m thinking the Target card! 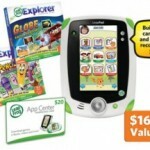 I can get everything I need there, and I have the best luck with coupons there too! Gas card all the way! I would probably get an Amazon or Walmart gift card!! Sure would LOVE to win! !